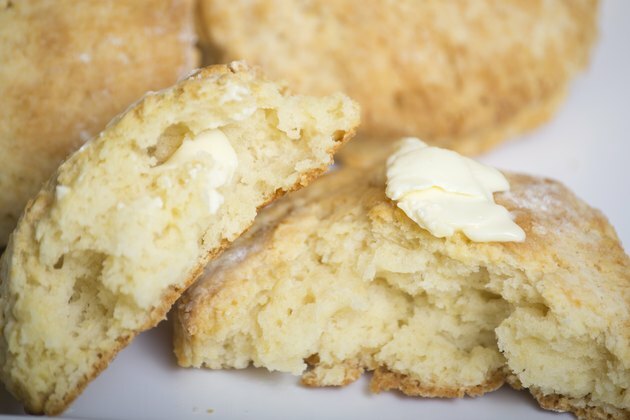 Biscuits are not complicated to make, says "New York Times" writer Sam Sifton. 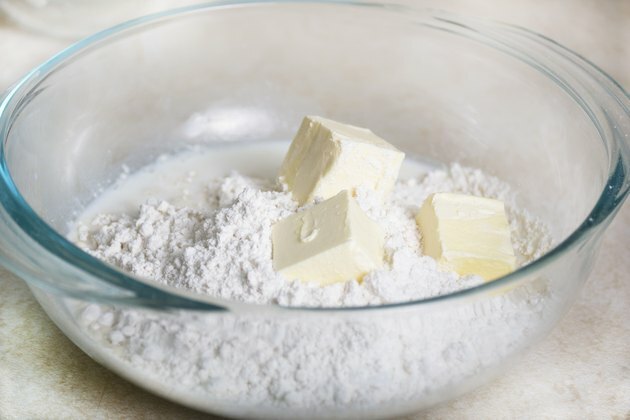 According to Sifton, a basic biscuit recipe calls for baking powder, flour, a liquid like water or milk and a source of fat, such as butter. The mixture is cut into rounds or dropped in tablespoons on a greased cookie sheet and baked at a high temperature. 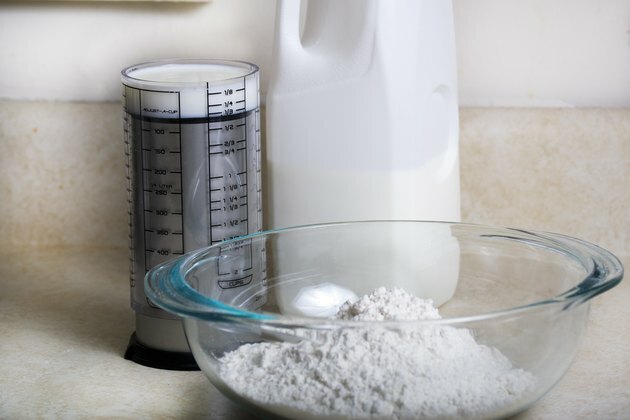 If you're pressed for time, using a buttermilk pancake mix can speed up the biscuit-making process even more. 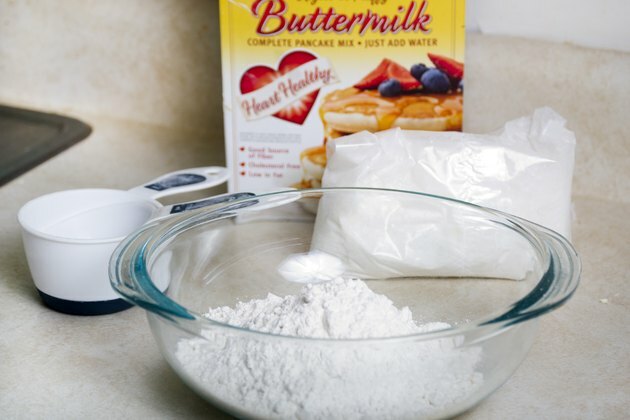 Commercially available buttermilk pancake mixes can be high in sodium and low in fiber, however. Prepare your own biscuits at home without added salt, and substitute whole-wheat flour for up to half of the required flour. 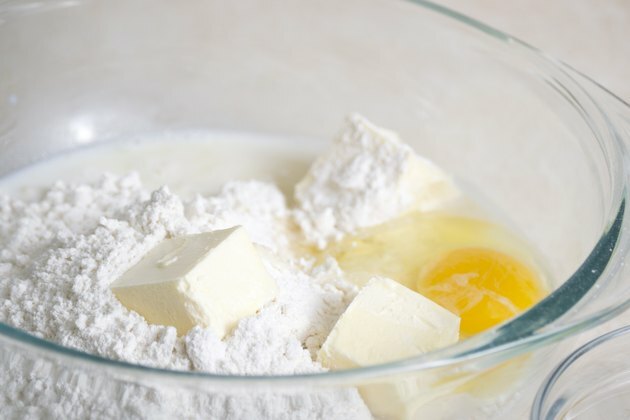 Measure the dry buttermilk pancake mix into a large mixing bowl. Plan on approximately 2 1/2 cups of mix for eight biscuits that are 2 1/2 inches thick when baked. Add a liquid, such as water or milk to the bowl. Use 1/3 cup of liquid for 2 1/2 cups of the pancake mix. Add a source of fat, like butter or vegetable shortening. Use 1/4 to 1/3 cup for 2 1/2 cups of pancake mix. Add one egg for every 2 1/2 cups of buttermilk pancake mix. 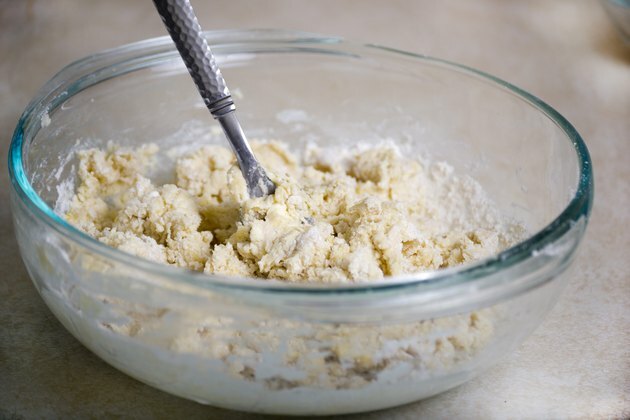 Stir the mixture thoroughly with a fork until the ingredients come together to form a sticky dough. Dust a clean, hard surface such as a large cutting board or kitchen counter lightly using a small amount of all-purpose flour. 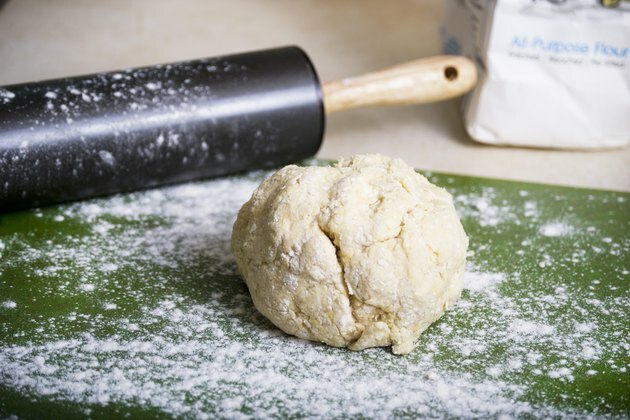 Place the dough on the surface and roll it out with a rolling pin until it is 1/2 inch thick. 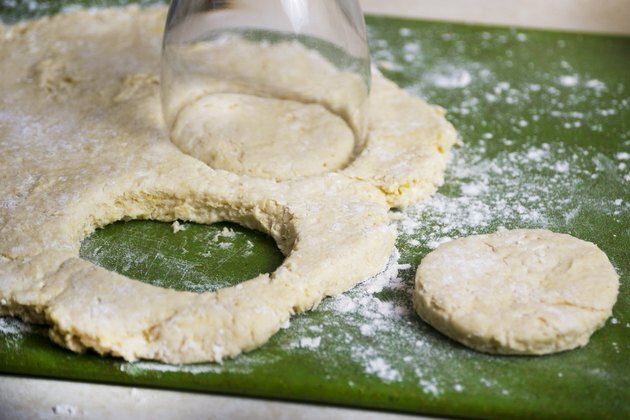 Cut out biscuit rounds with a cookie cutter or an inverted drinking glass. Put the rounds on an ungreased cookie sheet. Bake the biscuits until they are golden brown in an oven that has been preheated to 400 degrees Fahrenheit. Experiment with different liquids as an ingredient in your biscuits. Sifton suggests flat beer, sour cream or soda as examples. For savory biscuits, try adding grated cheese, minced fresh herbs like chives, sauteed onions and garlic, chopped nuts or finely diced, cooked meat to the dough.